Chairman: Datuk First Admiral (Retd) Subramaniam Raman RMN, Malaysia. Tribal Skills Yet Technological Driven SAR Operation – Yolanda Experience: by Major (Retd) Dr Ted Esguerra, Philippines Coast Guard. Medical Humanitarian Mission for Community: by Datuk Dr Mohamed Alwi Abdul Rahman, Selangor, Malaysia. 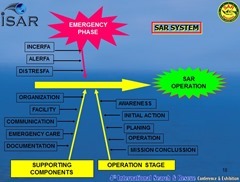 Empowering SAR Resources to Support a SAR Mission in Indonesia: by Colonel Agus, BASARNAS, Indonesia. Statistics: 14.1 Million people affected; 1.1 million of houses were destroyed; 4.1 million of people were displaced; 6,300 dead; 1,785 missing; 28,689 injured; 5.6 million of people require food assistance. All basic services were down – Electric lines, health svcs infra, police (peace and order svcs), transport (air, land, sea), public works, communications, Road lines and Airport Control are 90% destroyed/non-operational. All hands response post landfall: Government units, Military Units, NGO’s, Volunteers, and international teams (23 countries). Fire fighters doing Water operations. EMS teams doing technical rescue operations. Soldiers doing delicate Rescue operations. Civilian Rescue teams in the hostile zones. ‘City-based’ responders deployed to the mountains, high seas, austere environment. No definite national database of ALL responders and respective skills. No tribal skills and not much technology of rescue teams. Philippines is disaster prone (top 3 in the whole world; top 9 as most vulnerable to climate change). Need for a national Rescue Team. Multi-role, all-terrain, all-weather RDANA (Rapid Disaster Assistance [RRT] & Needs Assessment [RAT]) Type of team. Initially, to be created ASAP through volunteerism and not subject to bureaucratic delays. 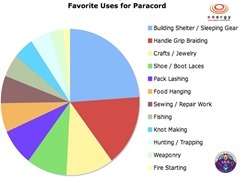 Ladderized training from basic to advanced level. ‘last man standing’ in concept (self contained; single, linear command). 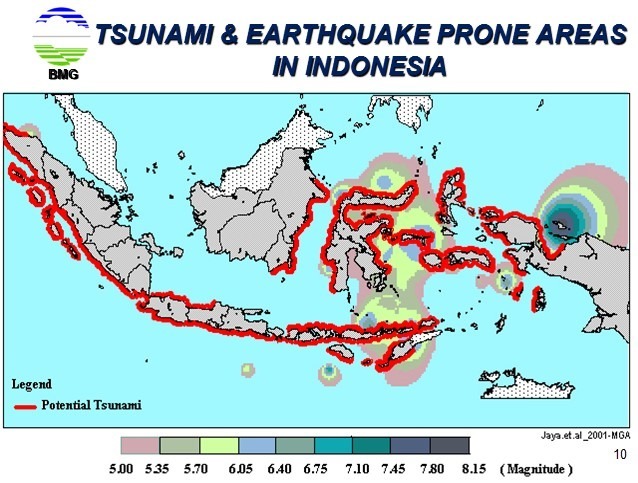 Post – Tsunami/Storm Surge SAR. 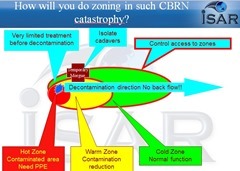 Chemical, Biological, Radiological, Nuclear and Explosive CBRNE ? The End of the World As We Know It (TEOTWAWKI) Medicine. Environment: Partly controlled, partly known, changeable. Patient: Unknown, sometimes requests care. Personnel: Educated, basic to advanced. Environment: Uncontrolled, partly known, changeable. Personnel: Variable Education, basic to advanced. Bottled Water /Hydration bag, DOGBONE. Signaling / Communication kit (cellphone w/ camera, penlight, fire starter/lighter, whistle, AM/FM portable radio, mirror, pentel pen wrapped with duct tape). First Aid Kit (with betadine), med kit (paracetamol, for cough, colds, LBM, gastritis, allergy, etc.,). Apparel kit (malong, sandal, upper/lower quick dry, poncho). 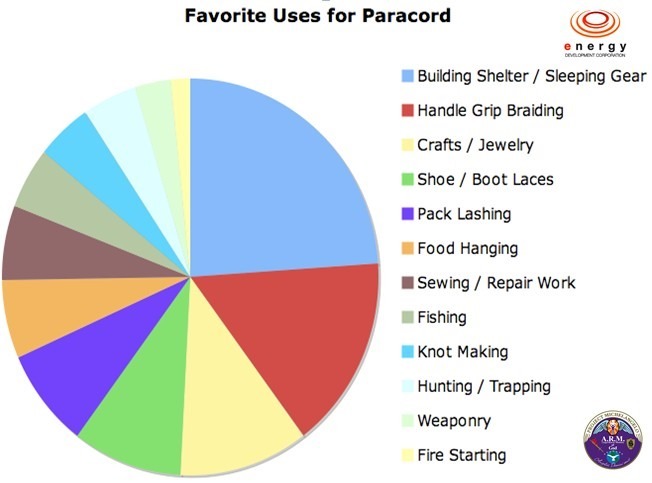 Paracord (4 meters long, 7-9mm thick). Toiletry kit (toothbrush, paste, antifungal shampoo, Perla soap, Off lotion, wet wipes, tissue, earbuds, sunscreen). Ziploc kit (Rubber band, Cash, ID’s, passport, List of Family Contact info, duct tape, garbage plastic bag). Security & Safety components (PPE’s). Water & Food – Provision & Acquisition. Attitude – Aptitude; Will – Skill. Prepare Physically, Mentally, Psychologically, Physiologically, Spiritually, Culturally. Encompasses the World of Arts, Philosophy, Faith, Physical, Science. Highly Motivated & Team Worker. High Sense of Security & Survival. More of Results than Sustained Paper Works. Advisory to LGU as Needed. Sustained Operations Despite Cut Supply Lines. Protracted Approach in Doing Interventions. Lasted Long Despite No Support from Larger Entities. The One Thing that We Learn from History is that We Never Learn from History. Natural and Environmental Disasters are Worldwide Distributed Phenomena. 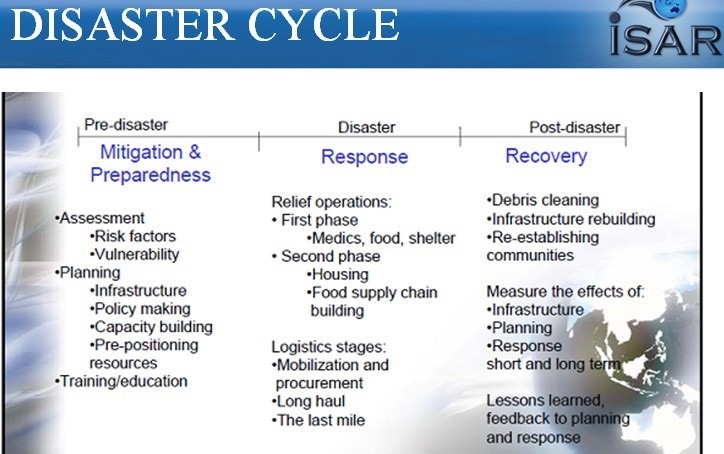 Incident Command System and logistic infrastructure. Emergency Management Service and Mental Health Care. Body Identification, Recovery and Disposal. Risk Assessment and Contingency Planning. Ethics, Mitigation and Medico-Legal Intervention. Mental Health Care and PTSD. Risk Communication and Media Management. EMS Preparedness – where are we in 2014 ? Elements of Preparedness & Consequent Management (A2P2R2) concept. Emergency Relief Logistics: Emergency relief logistics is the processes and systems involved in mobilizing people, resources, skills and knowledge, to help vulnerable people affected by disaster. High levels of uncertainty (demand,supplies,assessment). Degraded infrastructure and no established logistics community. 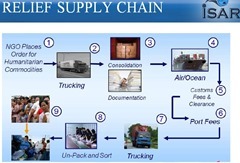 Delivery constraints due to Government or military involvement. The immediate health impacts are drowning, injuries, hypothermia, and animal bites. Health risks in the evacuation of patients, loss of Health workers and infrastructure including drugs and supplies. In the medium-term, infected wounds, complications of injury, poisoning, poor mental health, communicable diseases, and starvation. In the long-term, chronic disease, disability, poor mental health, and malnutrition. Consume clean water or properly boiled water. 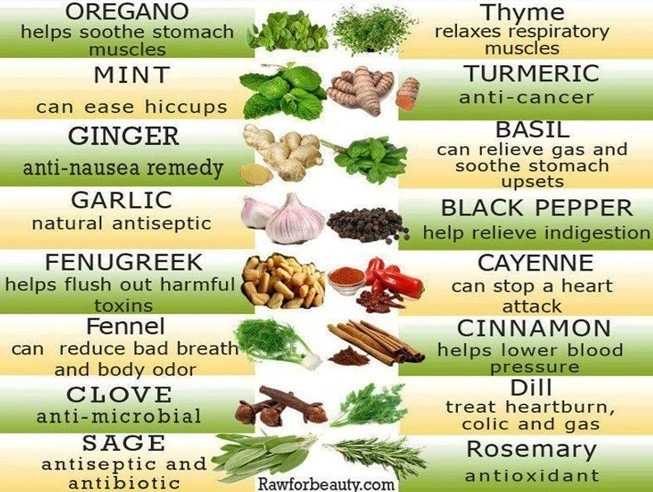 Eat clean and well cooked food. Use protective clothing to prevent contamination and injuries. Prevent from working in dirty and contaminated environment for too long especially muddy areas. Manage all injuries and wound properly, do not take it lightly. Mental fatigue, lack of sleep and exhaustion may predispose you to infections and injury. Refuse to evacuate to shelter area. Public could not understand the meaning of disaster terminology. Culture of acceptance-Disaster tolerance, way of life. 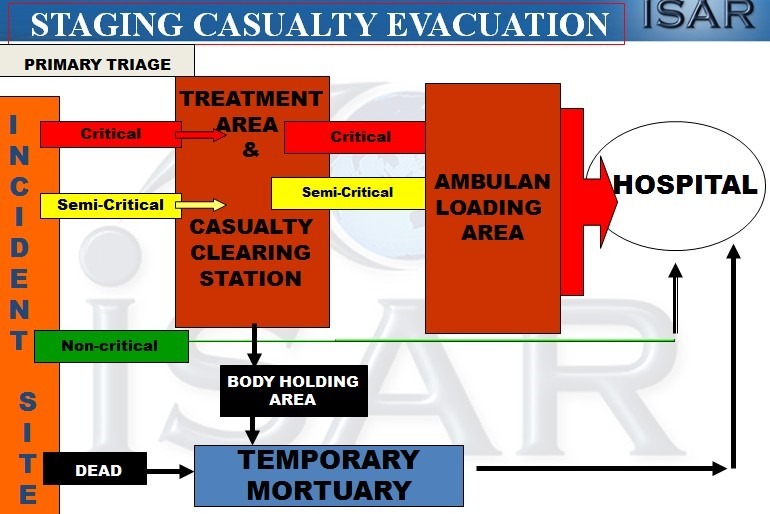 Official procedure in sending bodies. Local contacts for foreign visitors. List of missing and dead on web-site. 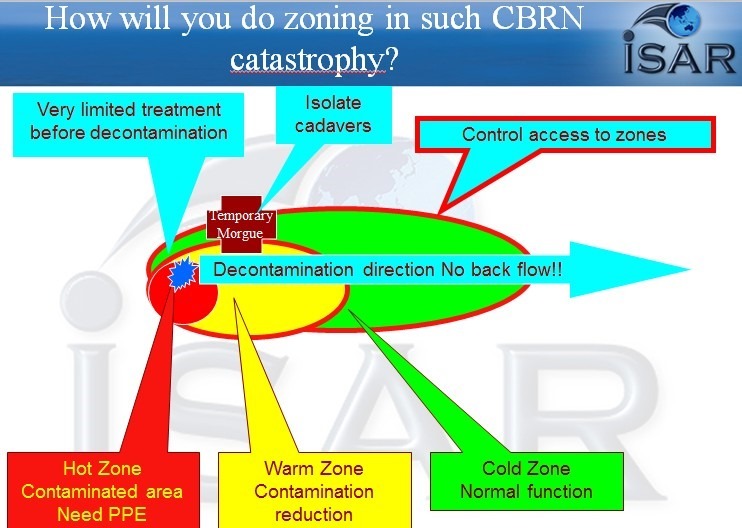 Paradigm change in approaches in Natural Disaster Contingency Plan both short term and long term approach. Emphasize more on Early Warning System, Public Education. Lesson learnt from the Past Experience and Transformations. New Innovations in Technology, Infrastructure and Response to global disaster response, more on SAR operation. International Partnership, Friendship, Collaborations and Training. More budget, Policy Research and Development in responds to Natural Disaster, Mass Casualty Management and Humanitarian Missions. 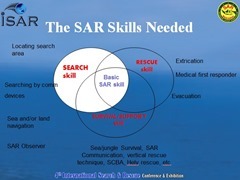 SAR: The efforts to do searching and rescuing a life in distress in the most rapid, precise and safe manners. Collecting and verifying distress information (location, nature of distress, POB, etc). Ascending & descending (vertical rescue). Stabilize a survivor in accordance with the injury suffered – medical first response. The steps taken by a Rescuer: Scene size-up, Treatment to injury. 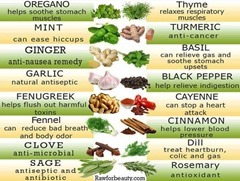 Aimed to obtain further medical treatment. Moving survivor from the danger to the safe place. The method to transport in accordance with survivor’s condition: Inland vehicles, Medevac by ship or chopper. Sea and or land navigation. Formulating policy on national SAR services. Coordination and cooperation on empowering in-country SAR resources. Conducting SAR operation on emergency situation. Distress situation in civil aviation. 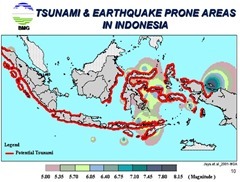 Natural disasters (earthquake, tsunami, flood, landslide, etc). Helicopter : 8 Units (Short and medium Range). Rescue Truck : 28 Units. Rescue Car : 90 Units. Rescue Boat : 25 Units (12 M, 28 M, 36 M, 40 M, 59 M). Rigid Inflatable Boat : 46 Unit (5.4 M, 8.5 M, 11.4 M, 12 M). Integrated Radio Based Communication system. Improve and maintain internal capabilities regularly and continuously – SAR course, training and exercise, SOPs. Rescue Team Standby on call 24 hours/day. 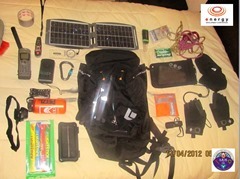 Mobilize SAR resource including external Rescue Team, if needed. Apply a community-based SAR concept – by involving the elements of community with SAR capabilities in SAR activities, in particular, in a SAR operation. Lack/Gap in resources: To be filled with Community based SAR. Establish a local SAR Forum in cooperation with local government: invite all elements of community with SAR capabilities to join a forum. Provide SAR training and exercise to the volunteers, mainly, in the disaster prone area to enhance preparedness. Promoting SAR at early age – program “SAR Goes to School”. Establish information network with local emergency response unit. External Rescuer: Volunteers (Basarnas train and certify volunteers for assisting a SAR operation). SAR Technical skills (water rescue, jungle rescue, vertical rescue, etc). Posses SAR knowledge and skills. Distress information exchange (location, victim, environment condition). Provide communication network – radio communication. Access to provide SAR assistance. 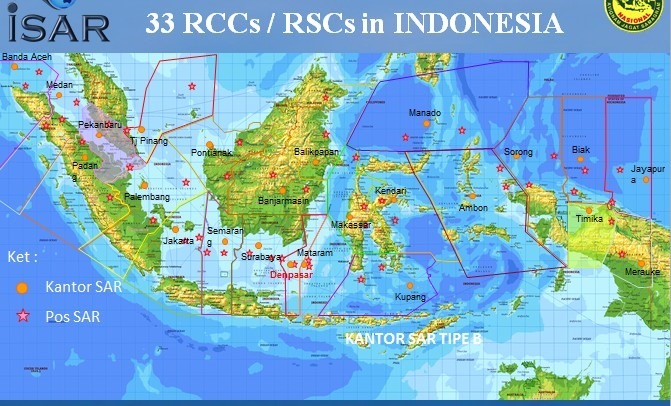 As the member of international community, Indonesia is bound to provide SAR services in its SAR Region that belongs to the National SAR Agency’s responsibility (BASARNAS). To make SAR operation effective, BASARNAS applies a community-based SAR strategy, a strategy that involves all the elements of community with SAR capabilities to be a volunteer in a SAR operation. A community-based SAR strategy can be an alternate solution for anticipating lack of SAR resources. Chairman: Dato’ Rear Admiral (Retd) S Gunaselan RMN, Malaysia. 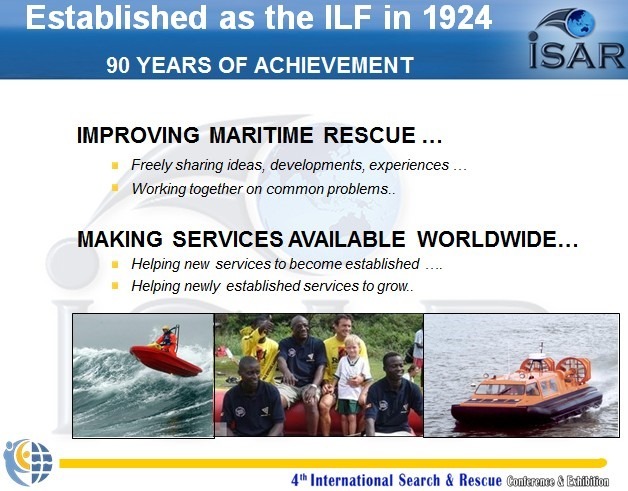 Transforming Search & Rescue Performance: by Brooke Archbold, Chairman, New Zealand Coast Guard, and Trustee, International Maritime Rescue Federation, New Zealand. 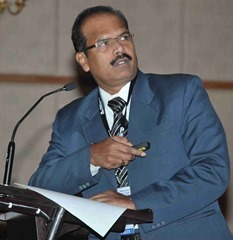 Search & Rescue – Indian Perspective: by Dr M Jayaraman, Additional Commissioner, Disaster Management & Mitigation, Government of Tamil Nadu, India. 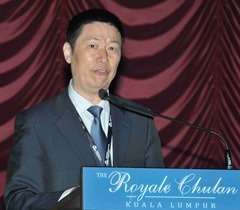 Promote the Development of Maritime SAR in Asia – Pacific Region: Mr Lu Dingliang, Director General Donghai Rescue Bureau, People’s Republic of China. Kaizen: IMRF is a firm believer in Kaizen, ‘continual improvement’ ; IMRF has identified and implements programs that will make a difference; some may improve performance, others may transform performance. Royal National Lifeboat Institution (RNLI), Royal Netherlands Sea Rescue Institution (Dutch:Koninklijke Nederlandse Redding Maatschappij, abbreviated: KNRM), German Society for Sea Rescue in German –DGzRS), Swedish Sea Rescue Society (SSRS), Uruguay Sea Rescue Service (ADES) providing equipment to fledging organizations. Practical SAR Training on water training in Uruguay. 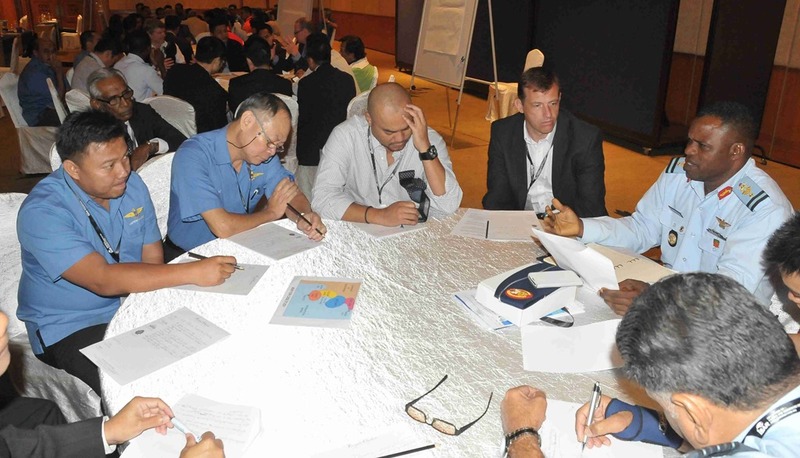 Skill Specific Training – On scene Coordinator’s Course at IMRF’s Asia Pacific Regional Centre (APRC). Regional Cooperation: Illegal Immigrant SAR – Malta and Italy Cooperation. Regional Relationships: SAR Crew Exchange – European Maritime Crew Exchange Program. Filling the Gaps: Developing SAR Capability – The Baltic, The Pacific Islands, Africa. International Maritime Organization (IMO): Consultative Status, SAR Development Group. Regional Coordination: Regional MRCC – North & West Africa Maritime SAR Regional Co-ordination Centre. Communications: Newsletter, Advisory Service, Web Page, Online Library. Worldwide SAR delivery is not consistent. Huge variances, especially between the Developed and the Developing Countries. Globally there are enormous differences in needs, politics, conditions, issues, people, culture, structure, organizations. World Health Organization’s global statistics show that approximately 380,000 people die through drowning each year, with almost half of these occurring within the Asia-Pacific Region. Incidents of massive casualties at sea took place quite frequently in Asia Pacific region in the past decades, thousands of lives lost on commercial vessels every year. Many of the deaths are preventable or able to be rescued if SAR service is improved. The first IMRF Regional Office (APRC) at Shanghai was launched in 2012 and registered in May 2014. APRC: Purpose/Objectives: To promote IMRF profile and influences in the Asia-Pacific Region, attracting more countries/states and territories to join the IMRF family and improving the rescue capabilities at all levels of the whole region. Raising funds to support key projects. Promoting regional cooperation and coordination. Providing a platform for SAR information sharing. Promoting cooperation with maritime universities. 1st Asia Pacific Regional Meeting was held in Hong Kong on 10th September 2013. Regional Development meetings are held to facilitate the transfer of knowledge across borders without politics to reduce the loss of life in the world’s waters. Training has paid attention to maritime SAR Emergency Management and Research on maritime rescue skills. The attendees could obtain the maritime SAR theoretical knowledge and On-Scene Co-coordinator skills, involving the on-site command and disposal of the emergency from the analysis of typical cases and maritime distress communication. Providing an international focus on MRO of all kinds. Providing forums for discussion and debate on MRO. Identifying specific problems that need addressing. Building a database of resources for all to use. 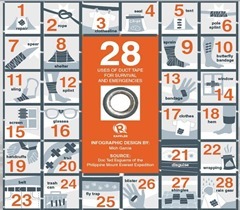 Pooling experiences and resources in cost-effective projects. Developing new practices, technologies and system for the benefit of all. Improvement in maritime SAR system. 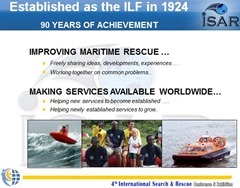 Fulfill International Maritime SAR Conventions. Strengthen Regional Exchange and Cooperation. Join IMRF Asia-Pacific Regional Centre. Invitation: 8th China International Rescue and Salvage Conference & 2nd IMRF Asia Pacific Regional Meeting at Shanghai, China on 18th -19th September 2014. 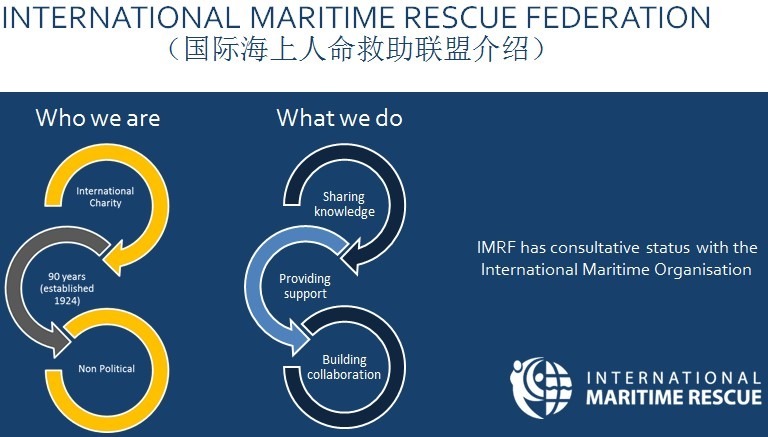 Being Together To Be Stronger: IMRF Asia-Pacific Regional Centre will greatly enhance IMRF capability to communicate with and to assist maritime rescue organizations throughout this busy region. 65% of land vulnerable to Earthquakes. 8% of land vulnerable to Cyclones. 5% of land vulnerable to Floods. 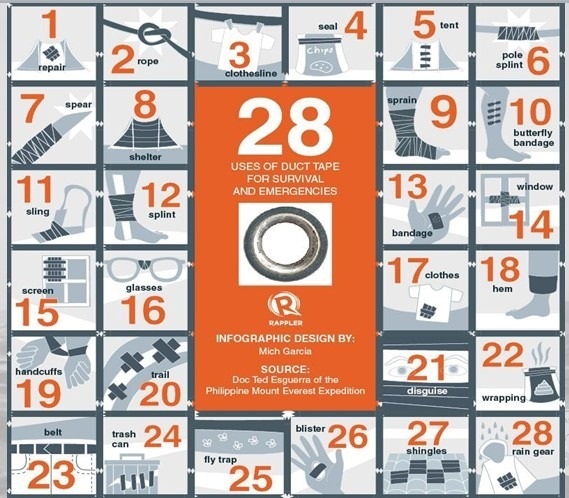 More than 1 million houses damaged annually plus human, social, other losses. High Powered Committee was set up in August 1999. Responsibility was with Agriculture Ministry until 2001. Transferred to Ministry of Home Affairs in June 2002. National Disaster Management Authority (NDMA) was established on 28th September 2005. 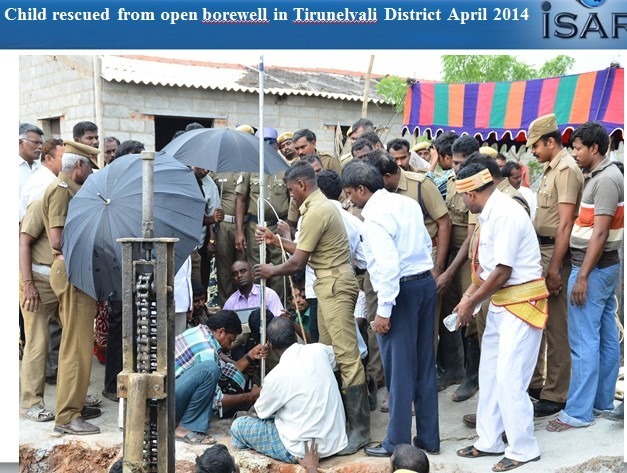 Disaster Management was also included in the Seventh Schedule of the Constitution. 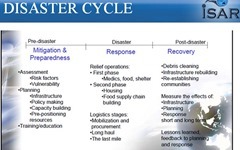 Disaster Management Act came into force on 23 December 2005. Paradigm Shift: Response Centric to Holistic & Integrated Approach. Backed by: Institutional Framework – Legal Authority. Supported by: Financial Mechanisms – Creation of Separate Funds. NDMA Apex Body with Prime Minister as Chairperson. National Executive Committee: comprises of Secretaries of 14 Ministries and Chief of Integrated Defence staff. National Institute of Disaster Management. National Disaster Response Force (NDRF). SDMA headed by Chief Minister. DDMA headed by District Magistrate. Interface between Government and Public. Well equipped and trained in SAR. Assist in Community Training and Preparedness. Impart Basic and Operation Level Training to SDRF. Liaison, Rehearsals and Mock Drills. India Disaster Resource Network (IDRN). Inaugurated on 1st September 2003. Web enabled centralized data base for quick access to resources to minimize response time. Updated every year, at State & District level. 226 items, 69329 records in 545 Districts uploaded. Web portal for knowledge collaboration, maps, networking, emergency contact networking system. Goal – easy to use unified point of access to disaster management, mitigation and response. IDKN is a part of South Asian Disaster Knowledge Network (SADKN). State Police Forces and Fire Services. Civil Defence and Home Guards. State Disaster Response Force (SDRF). Disaster Management Education in Schools. All the participants were divided into four groups for SAR Colloquium. Chairman: Commodore (Retd) S Shekhar, Director, CASTLE, India. Group 1 – International Collaboration: Air Commodore Sonny Owemu, Nigerian Air Force, Nigeria. Group 2 – Policies, Procedures, Practices: Dr David Brewster, Australian National University, Australia. Group 3 – Human Interventions: Mr Rob Keating, St John’s Ambulance, New Zealand. Group 4 – Technology Aspects: Dr Rao Tatavarti, Founder & Executive Director, CASTLE, India. Current knowledge on the subject. Road map for the future. A multinational team of 12 participants discussed and deliberated on the technological aspects of the case study presented with all pertinent facts and has reached the consensus that there is more information missing or purposefully not divulged then the facts given to the team for discussion and deliberation. This is based on the fact that the missing flight in question is the presidential aircraft, a high value target – for which customarily all redundant measures vis-à-vis the security and technical failures, would be automatically ensured. Nevertheless, the deliberations focused on the various critical areas and reached the following consensus which is summarized under the five categories as desired by the conveners of the colloquium. Sensors on targets (GPS / Environmental Sensors / Communication Sensors / Imaging Sensors / Audio recording sensors). Sensors on Ground (Communication / Tracking Sensors). Sensors on board Satellites (Surveillance, Communication). Target Technologies (Engine Characteristics, Sensors, Communications). Archival/Transmission Technologies to be operated at higher sampling frequencies. Communication Transponders transmitting data @1 Hz. Given the fact that the flight in question is a President’s aircraft (it is presumed that the flight should be having the latest technologies), it is concluded that the current knowledge on the subject is quite adequate and sufficiently failsafe. Even otherwise the state of art technologies which are currently in vogue for even commercial aircrafts are also adequate and effective. There are a number of more sophisticated and effective technologies Surveillance Technologies which are currently available with various agencies, especially the defence technologies – which can be effectively integrated with the current technologies available with civilian aircrafts for enhancing the security and effectiveness from a SAR prevention perspective. Surveillance Technologies – Imaging using different sensors (CCD, Thermal, Radiometer & SAR sensors) which can be used for localization of targets, even in adverse conditions needs to be inducted into the civilian aircrafts. Need for communication of attitude information, and CCD video imagery along with audio recording from cabin to be transmitted automatically with a good sampling frequency (say at a burst rate of 1 Hz after data compression) to the ground station and archived therein. More redundant communication channels to be inducted on board the aircraft. Need for increasing the storage capacities of archival information at ground control stations and on board aircrafts. Transfer of technical information – there is an imperative need for awareness level enhancement vis-à-vis the various coordinating agencies and stake holders. Within one minutes after the targets’ missing or any disaster an SOS should be sent to all earth orbiting satellites in the vicinity for launching/activating imagery sensors for immediate data recording and transmission to earth stations for further analysis/processing and information extraction. Need to immediately launch the standard operating procedure for search and ask for information from ships of opportunity, public at large, earth stations of various forms, ham operators, air traffic controllers etc. Appropriate flares and dyes to be automatically released at the time of crash/disaster. Ensure that emergency transponders cannot be tampered with and also communicate pertinent information with a burst frequency @ 1 Hz (containing video, audio, target health information and target attitude information) automatically to ground stations. Ensure more longevity of satellite archived information by satellite sensors of opportunity. Lessons Learnt: Although technology is adequate, implementation of new procedures and practices is required. Sharing of technology information related to surveillance and communication across different stake holders. Need to increase the power of signal transmission of emergency transponders so that the range of detection is enhanced. Need to Increase the longevity and robustness of the transponders. 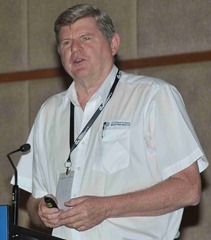 The Valedictory session was chaired by Mr Brooke Archbold, Chairman, New Zealand Coast Guard, and Trustee, International Maritime Rescue Federation. The findings of the various groups at the SAR Colloquium were presented at the Valedictory session. ISAR 2014 Best Speaker Award: The award for the “Best speaker of ISAR 2014”was given to Major Ted Esquerra, Philippines Coast Guard. It was unanimously agreed that the next edition of the conference, ISAR 2015, will be held at Chennai, India. Accordingly the ISAR 2015 Banner was handed over ceremoniously to Dr V Jayaraman, IAS, Additional Commissioner, Department of Disaster Management and Mitigation, Government of Tamil Nadu, India. 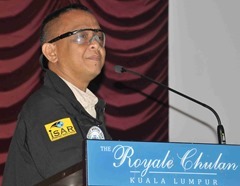 ISAR 2014, was formally brought to a close by Major Murali Bhaskaran, who proposed a vote of thanks to all those who had contributed to the unparalleled success of this conference. 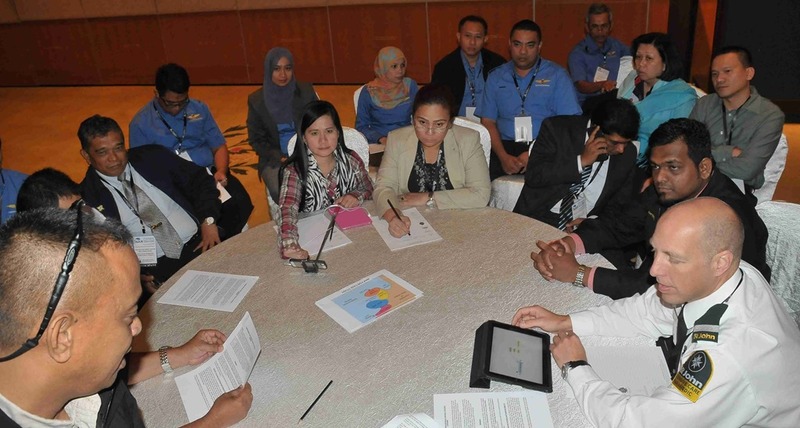 During the two days of intense deliberations by more than 125 delegates from 12 countries, the accent, in accordance with the theme of ISAR 2014, was on “Transforming Search and Rescue performance”. 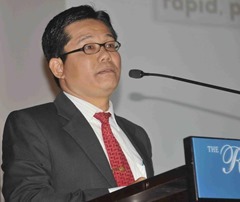 The continuous thread which ran through all plenary sessions was that the key to transforming SAR performance was the availability of a competent, committed and qualified human resource who could implement existing policies and procedures, in a spirit of international collaboration, using the numerous technologies available. The MH 370 incident had indeed brought together numerous nations deploying the latest technological assets, but it was evident that this had materialized as a reactive measure to a perceived international tragedy. While bilateral and multi lateral agreements and arrangements existed for joint SAR exercises, many lacunae understandably existed while working together on an actual SAR operation following a disaster of this magnitude. 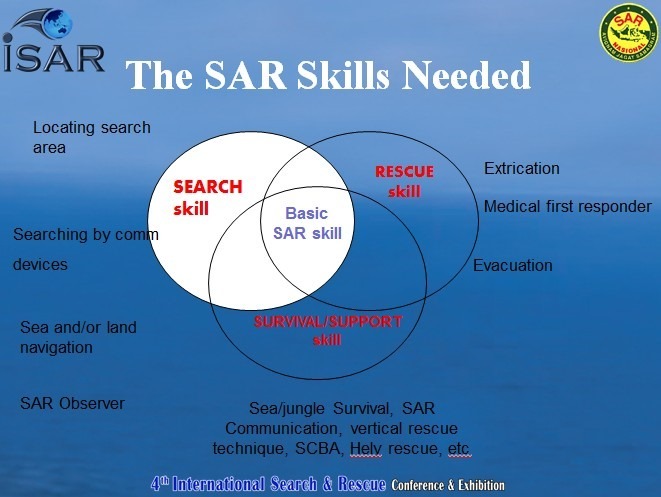 Even as early as in 2011, during the inaugural ISAR conference, SAR being multi disciplinary, Human skills such as competence, communication, commitment, leadership, teamwork etc play a crucial role, and constant training is required to provide and update these skills. And as brought out by Tan Sri Thanabalasingham in his inaugural address, while for long Search and Rescue has been considered the “tail” of the Disaster Management “dog”, the time has come for the “tail” to start wagging independently. Serious consideration therefore needs to be given to the establishment of an International Institute of Search And Rescue Studies, which will offer structured programs, both academic as well as vocational in various disciplines of the Search and Rescue domain. 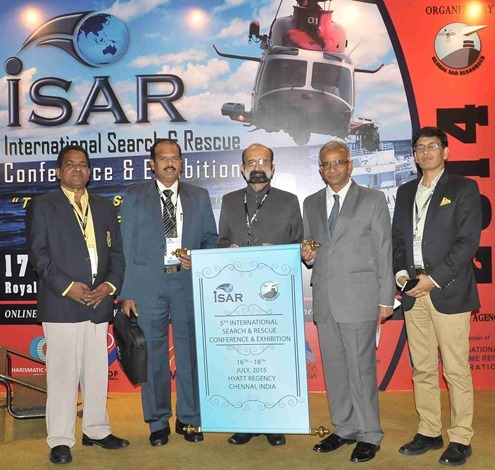 Now looking forward to ISAR 2015 to be held at Chennai, India.